The 9811 USB Cable is intended to make it easy to attach an USB generator in case several USB products shall be attached simultaneously. 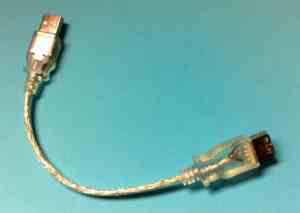 Cable is of USB-A-Male <-> USB-A-Female extension type. Length is approx 22 cm (cable length between contacts 12 cm). Kindly note that the cable is not intended for production servers; cable is not secured for emitted radiation. For your production server, attach the TRNG98-USB generator directly to the computer port.